Pretty much everywhere you look, movie theaters and performance spaces are in trouble. Box office attendance is down. But you know what’s up? At-home movie streaming. So what happens when everyone stays home and the movie palaces and multiplexes go dark? Are we losing something? 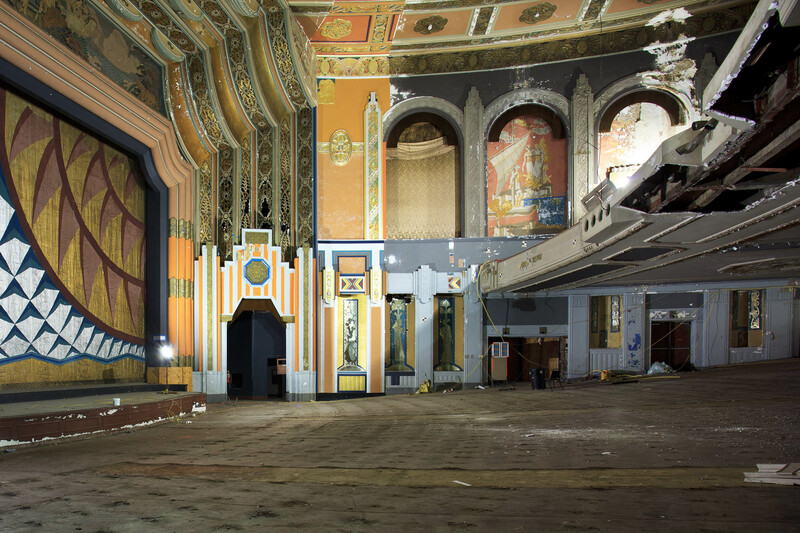 Matt Lambros has been traveling the country taking photographs of historic movie palaces— huge, ornate theaters with grand marquees, gilded chandeliers, crimson drapes, and stuccoed walls. 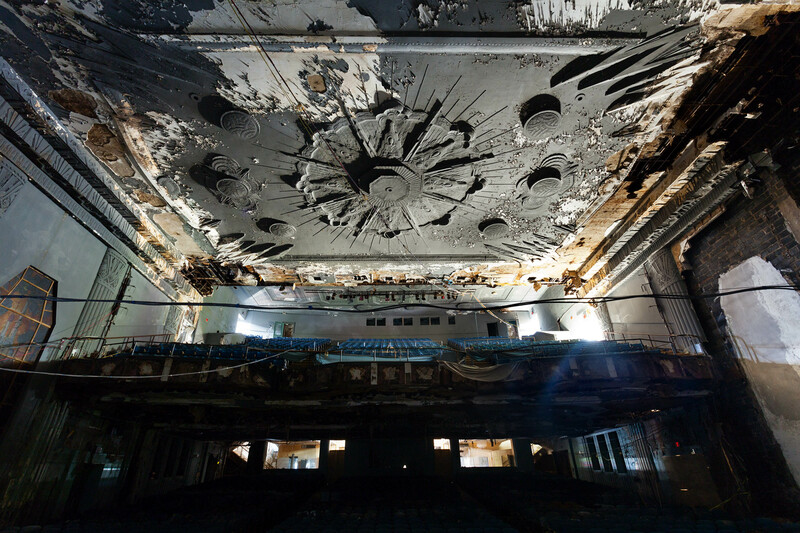 Some cities have found creative ways to reuse them — as concert venues, hotel lobbies, even churches — but others are empty ruins. Matt wants to document as many of them as he can before they disappear. 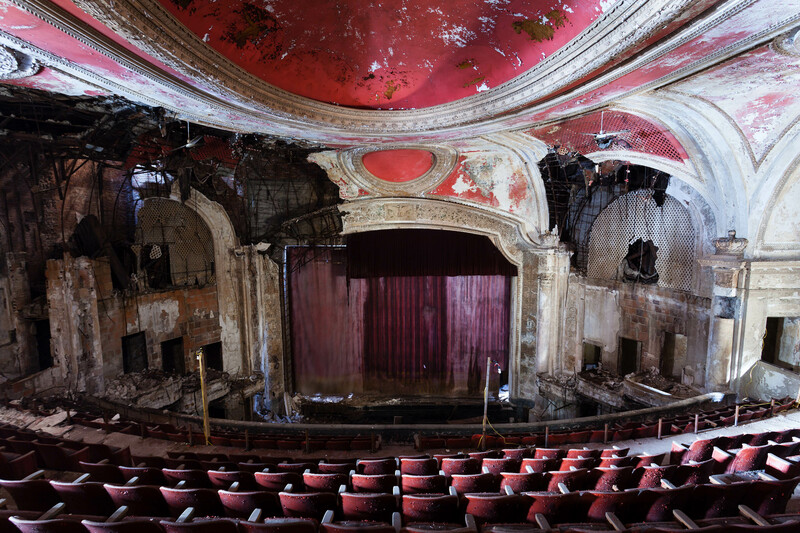 Auditorium, Loew's Kings Theatre (pre-restoration) - Brooklyn, NY.